Reliability is a quality often overlooked in today’s saturated and diffuse music market. In this world where an astonishing magnitude of choice lingers behind every click and attention is thus commodified, the fight for relevance and a place in the public imagination often leaves artistry out in the cold. So I find it especially comforting to hear new work from an artist of John Prine’s sort – an increasingly rare, self-effacing and steadfast sort that can take a thirteen-year break between albums and return without a fuss and, more importantly, without missing a step. That’s the story of The Tree of Forgiveness, an unassuming and delightful album from a man with a career of them behind him. At the moment the good-natured, plodding rhythm of opener “Knocking on Your Screen Door” sets in, you know exactly where you are. That jaunty lope is as much a Prine signature as his words and the feeling of familiarity it inspires casts a warm glow over the album to follow. Not every artist can make a listener feel so at home in their music; not many try. But Prine doesn’t set out to rewrite the book – only to add another chapter. At the other end, the delicacy of the more emotional numbers and their spartan language put them right under your skin, as on “Summer’s End” and “Boundless Love.” On the latter, Prine sings, “Sometimes my old heart / Is like a washing machine / It bounces around till / My soul comes clean / And when I’m clean / And hung out to dry / I’m gonna make you laugh / Until you cry,” a fantastic distillation of many of his finest qualities as a writer. Production duties on The Tree of Forgiveness were handled by alt-country maestro Dave Cobb (Sturgill Simpson, Brandi Carlile, Anderson East), a burgeoning legend of his discipline. Certainly, Cobb would be thrilled at the chance to work with a musician of Prine’s stature but he exercises typical tastefulness and restraint, wisely keeping the arrangements rudimental and uncluttered, his presence inconspicuous, and the singer and songs at the forefront. And that’s only natural with Prine. Over a sprawling career, his consistent truth to himself in his writing has earned him veneration from the highest tiers of popular music even as it has denied him entrance among their ranks. Such is often the case with “songwriter’s songwriters,” or “musician’s musicians,” but their’s is not work that requires broad validation. 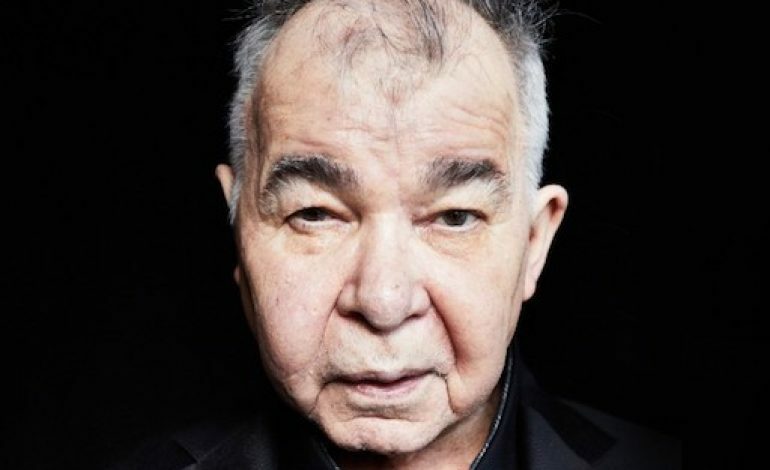 I hope we hear more from John Prine in the near future (although the man does make the afterlife sound like a damn good time on “When I Get To Heaven”). He’s a true treasure, and The Tree of Forgiveness ought to teach or remind us of it.